Joyetech ORNATE Tank is another huge cloud producer features 6ml large liquid capacity, MGS SS316L/Triple coil head, stainless steel detachable structure and 510 thread. Joyetech ORNATE Tank Atomizer is another huge cloud producer which features 6ml large liquid capacity and MGS SS316L/Triple 0.15ohm coil head, top-fill tank is easy to clear and add liquid, bottom airflow inlet is good for air exchange and circulation. 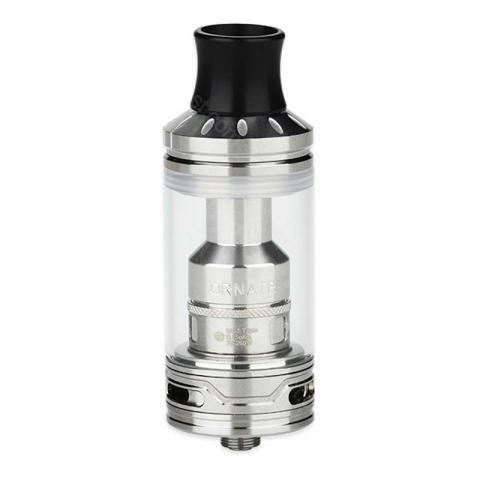 ORNATE sub ohm tank atomizer also comes with stainless steel detachable structure, 25mm diameter and 510 thread which make ORNATE tank is easy to compatible with most electronic cigarettes batteries and box mods. Black and Silver colors to choose from with competitive price. •You can buy more MGS Coils for the atomizer. Everything is just super. Packing is not broken. Not yet textiles as the batteries will come i will leave additional. Feedback. I'm happy with everyone. Thank you very much. Good price for a nice tank. So far not a single problem. Joyetech ornate atomizer holds lots of juice, nice taste and vapor production. No complaints here. Love the ORNATE tank very much. Huge juice capacity and nice flavor.